What is a glomus? Glomus tumors are part of “paraganglioma” family of tumors. There are different types throughout the body. Most are “benign” but can be locally aggressive and pretty much all of them require treatment. Symptoms depend on location and endocrine activity. Glomus Tympanicum usually begins to grow along the cochlear promontory. 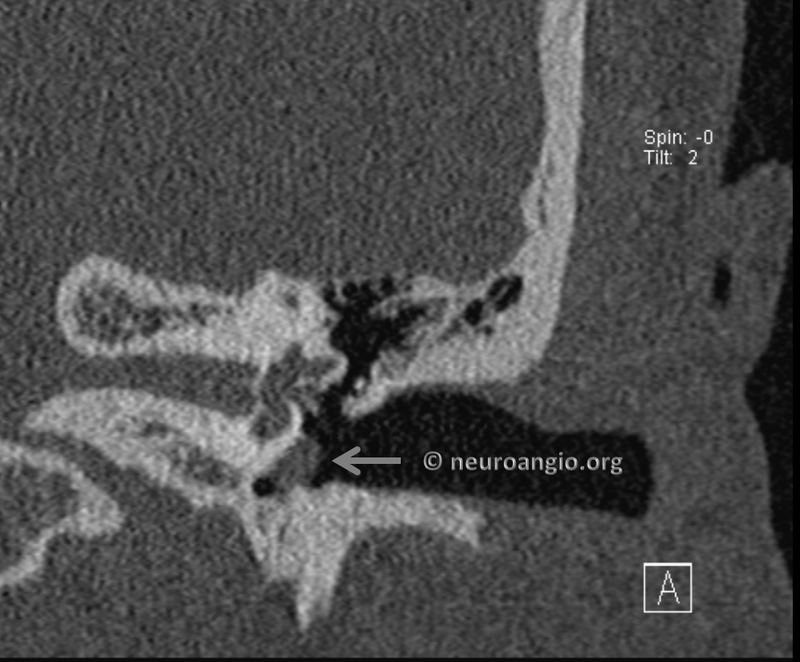 Early involvement of the ossicular chain is common. Therefore, patients present with hearing loss before anything else as a rule. The mainstay of glomus tympanicum treatment is surgical resection, unlike glomus jugulare which is increasingly being treated by a type of radiation called gamma knife. PT symptoms may not improve for some time after gamma knife, and may do so gradually. Particle embolization of the tumor can be effective in minimizing PT until radiation effects kick in, but this is typically not done because PT is tolerable enough to wait. 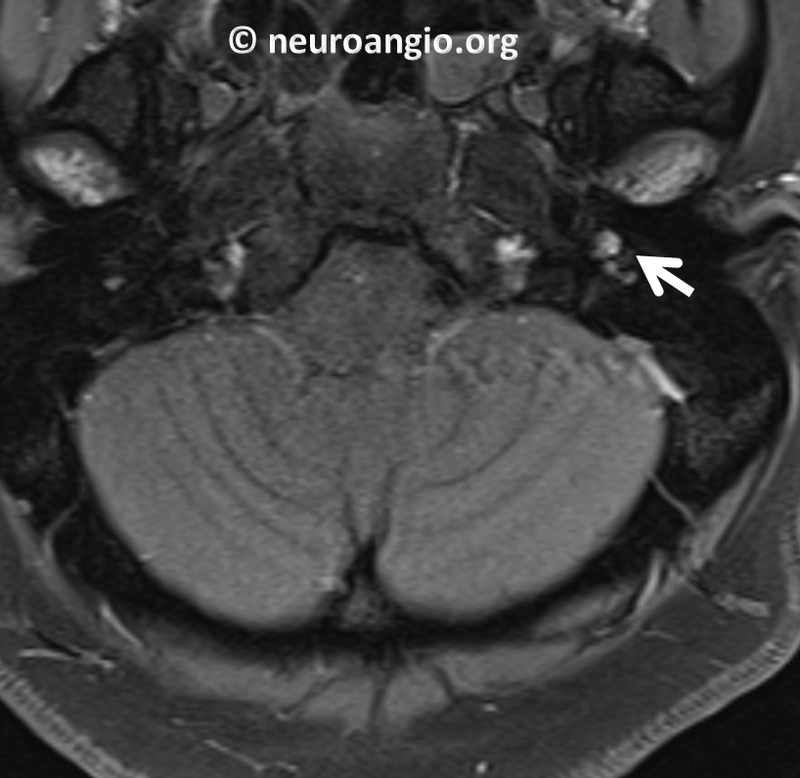 Why does glomus cause PT? Because it is so damn vascular. These tumors have such tremendous blood supply that the ear is literally hear blood flow through the tumor if it is large enough and close enough to the ear. 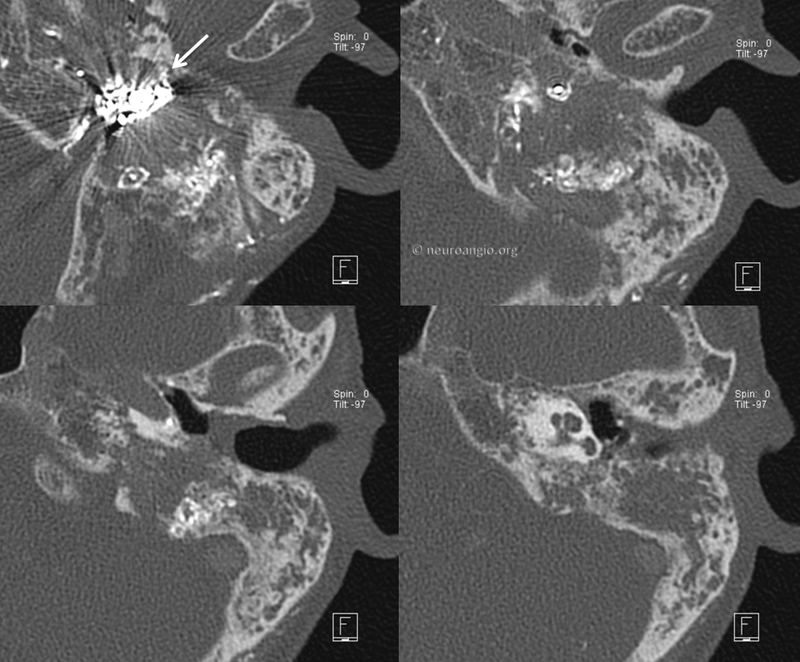 Unlike glomus jugulare, which usually requires embolization prior to resection, small glomus tympanicum tumors can be resected without embolization. Embolization is a procedure where blood supply to the tumor is blocked to make it less bloody during surgery. Various embolization agents are used, depending on location, experience, personal preference, etc. 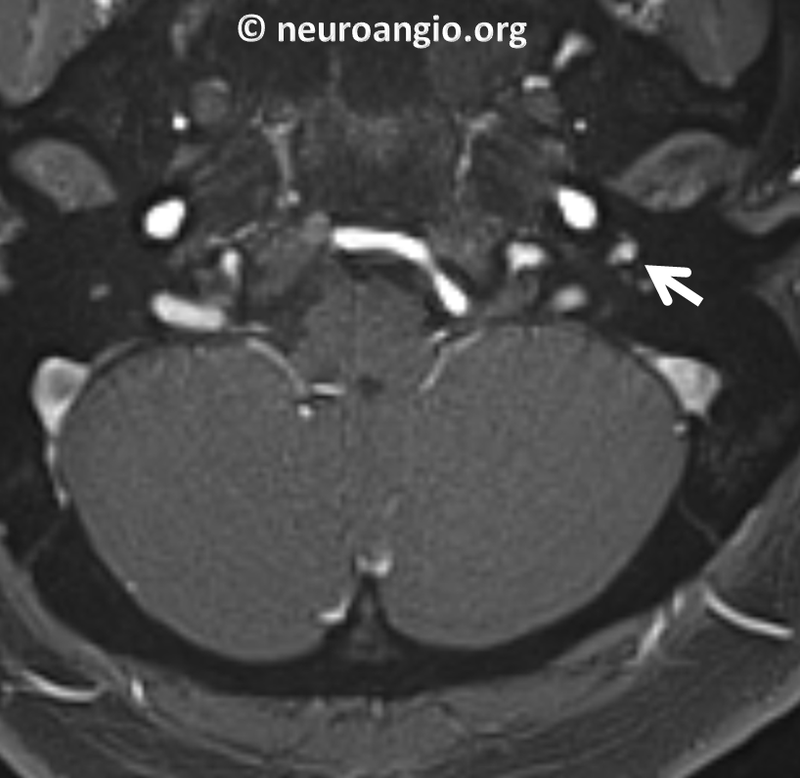 Here is a typical glomus tympanicum tumor. 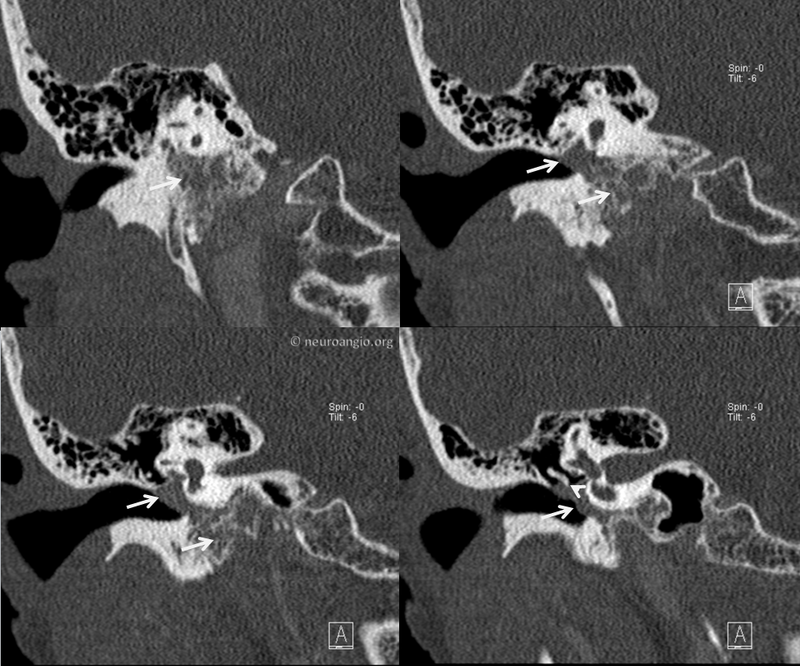 Although CT temporal bone is the study of choice for these lesions, this particular tumor was first picked up on an MRI as an enhancing mass in the left middle ear cavity. 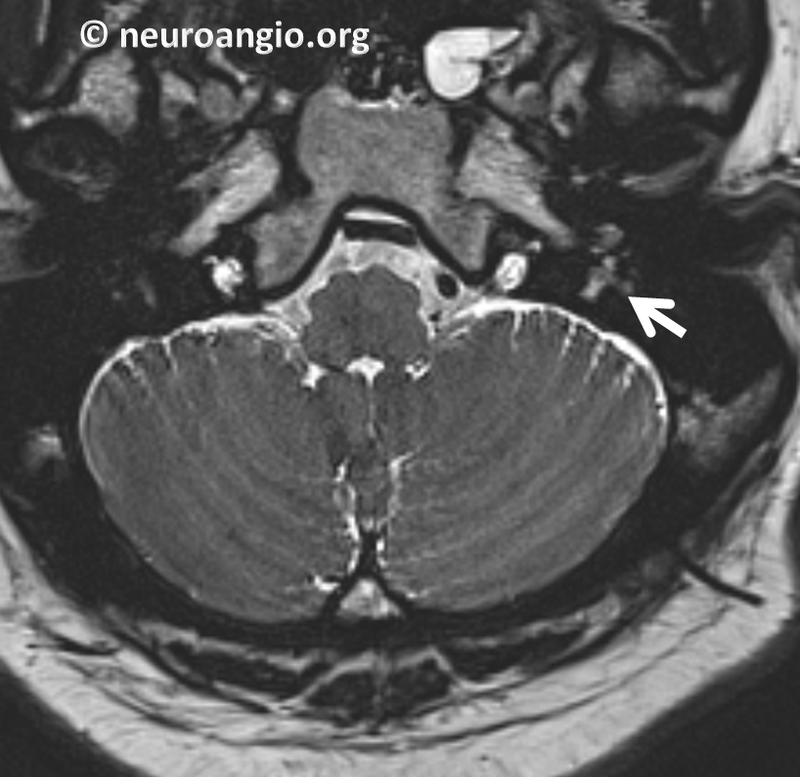 Now patient presents with a right-sided glomus. 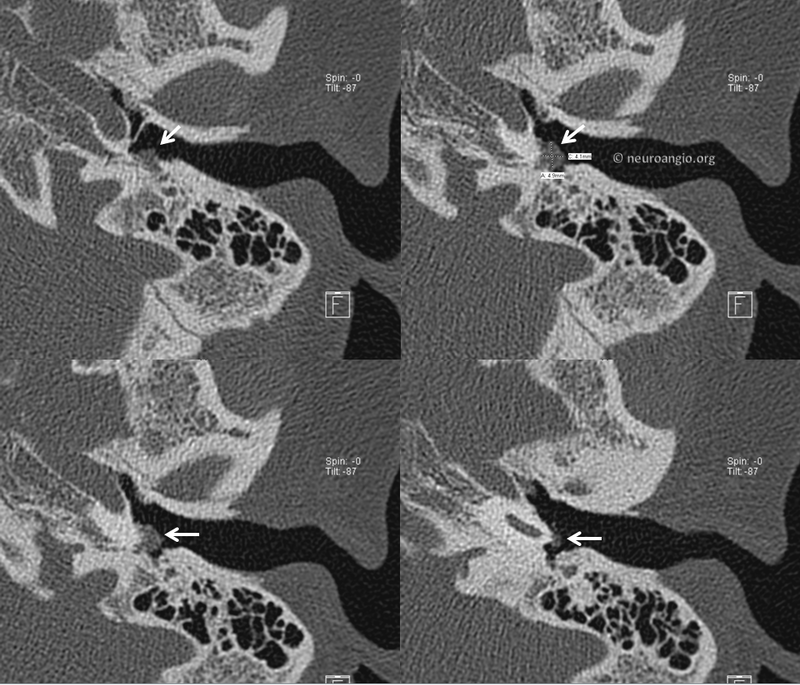 There is prominent involvement of the cochlear promontory however it appears that the tumor also extends into the jugular bulb region. It was called “jugulotympanicum”. 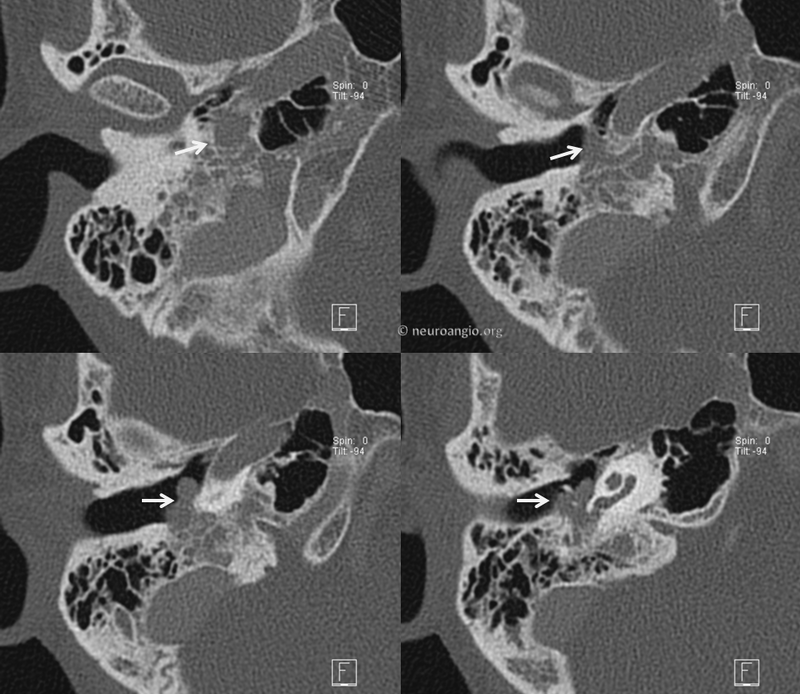 I don’t know if something like this really exists — what does exist is a jugulare growing into the middle ear, and tympanicum extending towards the jugular bulb. Coronal views. This was radiated as well.